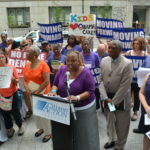 After the extraordinary news yesterday that the Supreme Court upheld President Obama’s Affordable Care Act, a group of seniors, people with disabilities, community activists, and SEIU HCII members gathered outside of Daley Plaza to hold a rally and press conference in celebration of this critical decision. More than 3.6 million residents became entitled to preventative medical services, such as mammograms and colonoscopies, without having to pay deductibles or co-pays. More than 100,000 uninsured young adults under the age of 26 became eligible for coverage under the parents’ health insurance. More than 150,000 seniors with Medicare received a $250 rebate to cover the cost of their prescription drugs once they hit the so-called donut hole. 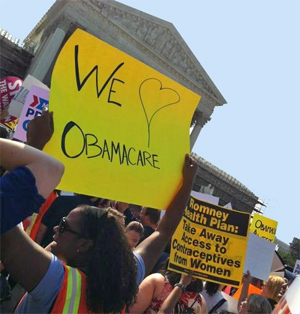 An historic victory for health care for all! CHICAGO – Illinois residents, as well as Americans coast to coast, received an antidote to spiraling medical costs today when the U.S. Supreme Court upheld President Obama’s Affordable Care Act in its entirety. The high court’s ruling ensures that the benefits of this landmark health care reform, which has already made medical care more accessible and affordable for millions of Illinois residents, will continue to multiply as more of the legislation’s provisions go into effect in coming years. For 85 percent of Americans who already have health insurance, the law has and will usher in a variety of popular improvements in their coverage. Insurers will be barred from denying coverage for preexisting conditions. Young adults under the age of 26 are entitled to join their parents’ health insurance plans. Seniors have received desperately needed support to pay for costly prescription drugs. And for those who are currently uninsured, the days when they are forced to use their local hospital’s Emergency Room as the functional equivalent of a primary care physician will soon come to an end. Now that the court – in an opinion authored by its conservative Chief Justice – has given its seal of approval to this law, the time has come for Republicans to put the economic interests of working families ahead of the political interest of their party. The time has come for a bipartisan commitment in Washington to fully implement the Affordable Care Act, so we can help cure the ailing U.S. economy. We call on Illinois’ Republican Congressional delegation to join in that commitment. Any energy spent on a futile and time-consuming effort to repeal the Affordable Care Act will only divert attention away from the issue foremost on the minds of Illinois residents: our state’s economic recovery. These statistics provide convincing evidence that comprehensive health care reform was paying off for Illinois residents. But the most compelling proof is embodied in the countless stories to be found within the health care system itself. The members of our union encounter those stories every day, because they represent the front lines of the health care system. 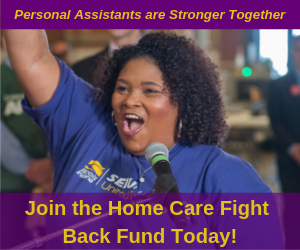 As home care workers, our union members help lower spending on nursing home care and hospital care both by helping seniors and people with disabilities live independently and by detecting medical problems before they result in frantic trips to the emergency room. 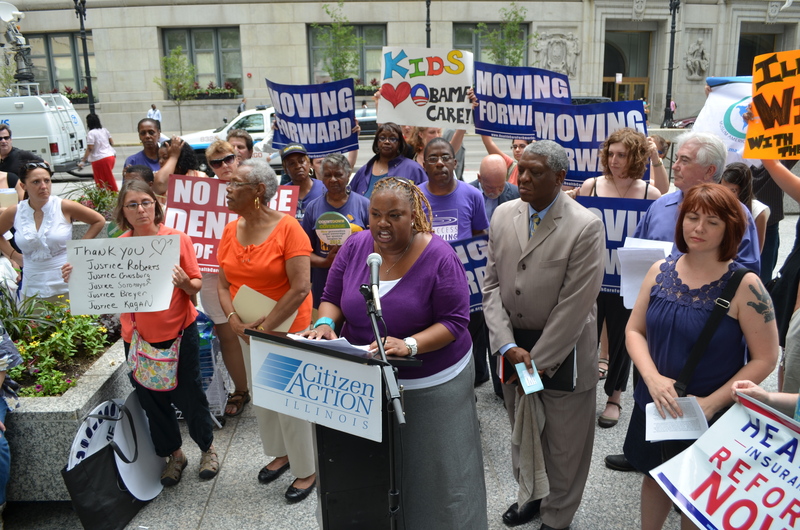 And as employees of Chicago’s many safety net hospitals, our union members see first-hand how low-income families without access to affordable health care are forced to seek costly treatment in Emergency Rooms for problems that could have been resolved through routine doctor’s visits. Moreover, some of our members are, themselves, low-income workers who cannot afford private health insurance, and many of them have had to withstand serious and chronic illnesses without the availability of proper care. There is perhaps no more glaring indication of the need for viable health care reform than the fact that the front-line workers entrusted with providing that care, don’t have access to it themselves. Members from community hospitals protest Gov. Quinn's proposed Medicaid cuts. CHICAGO (May 24, 2012)—It could have been a scene from “Mash”, the comedy-of-errors television series where soldiers pitch tents to care for their sick and injured. Only this tent city was set up on the plaza of the Thompson Center to demonstrate the serious and devastating impact proposed Medicaid cuts would have on community hospitals and their under- and un-insured patients. 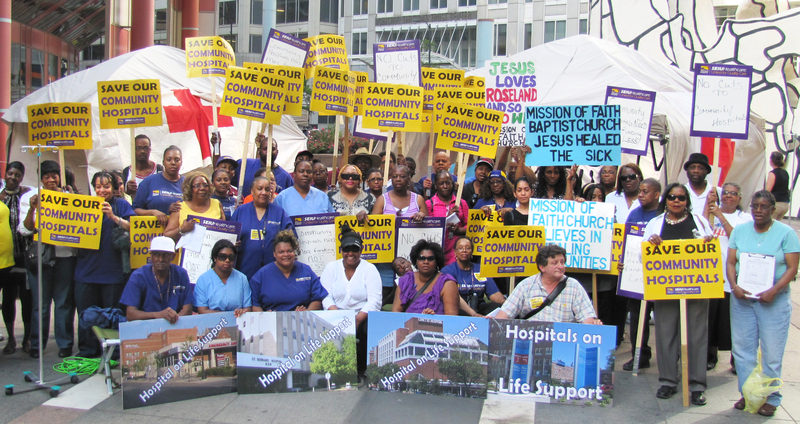 Hospital workers, community residents and healthcare advocates marched, chanted and gave speeches about the impact cuts would have on their lives. The sound of sirens echoed between City Hall, the Thompson Center and surrounding buildings as workers performed skits of mock medical emergencies where patients were treated outside the tents. 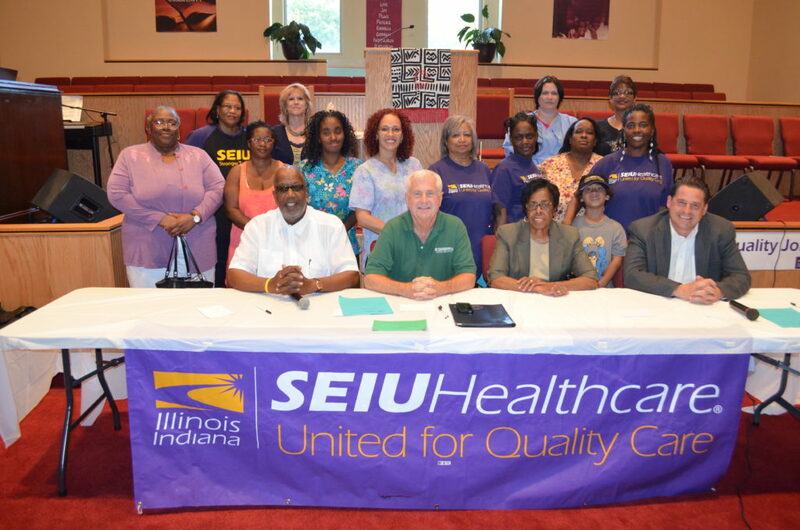 Two St. Louis hospitals become the first in the city to organize, joining together in SEIU! Workers from all departments at St. Louis University and Des Peres Hospitals are excited to fight for better patient care and a better future. 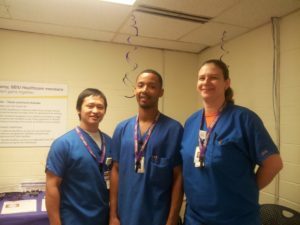 St. Louis University Hospital (SLUH) and Des Peres Hospital became the city’s only currently unionized hospitals this month when techs, nursing assistants, and other service and maintenance workers voted overwhelmingly to join SEIU Healthcare IL/IN/MO/KS! A bargaining unit of over 500 workers at SLUH and 200 workers at Des Peres united for a stronger voice in patient care decisions and securing a better future for their families. “We had a choice to make and we voted to unite in SEIU Healthcare to gain a stronger voice on the issues we care about. Alone it’s difficult to make change but by joining this union we can make a difference for our families and for our patients because we will have one united voice at our hospital,” said Patrice Odom, a Care Partner in the ICU. This election marks the first SEIU Healthcare victory of Tenet hospital workers in the St. Louis area. They join the 9,000 other Tenet-affiliated workers in Florida, Georgia, Tennessee, and California who are already united in SEIU Healthcare. 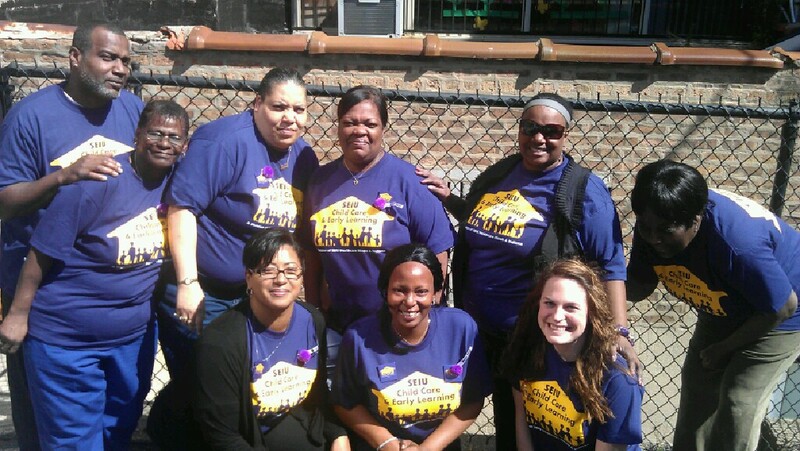 Certified teachers, teacher’s assistants, health aides, social service aides, cooks, and more across five Ada McKinley Head Start sites have voted to join together in the Child Care and Early Learning division of SEIU HCII! 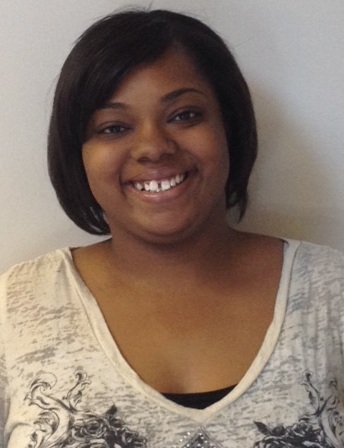 Teacher’s Assistant Denetia Daniels helped to educate and motivate her coworkers to win. An organized workforce will help improve the quality of Head Start and Child Care by expanding the number of voices calling for more investments in the programs, and that will ultimately lead to more resources for parents and children. Workers realize that they’re part of the fight to attract more funding to the programs in the long run. And in the short run, organizing allows them to address workforce inequities that should be fixed today. “Having a network definitely made us stronger. 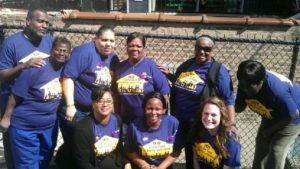 It was easy to get distracted when bosses tried to stand in our way, like by telling us to take off our SEIU shirts on t-shirt day, but being able to look across the room and see our coworkers wearing SEIU shirts helped us to stick together,” Denetia said. Now that Ada McKinley workers have won their union, they’ll have the power to fight for higher standards for workers, better child-teacher ratios, dignity and respect, and more. “I’m excited to be able to hold management accountable and to make things fair for everyone across the board,” Denetia said.